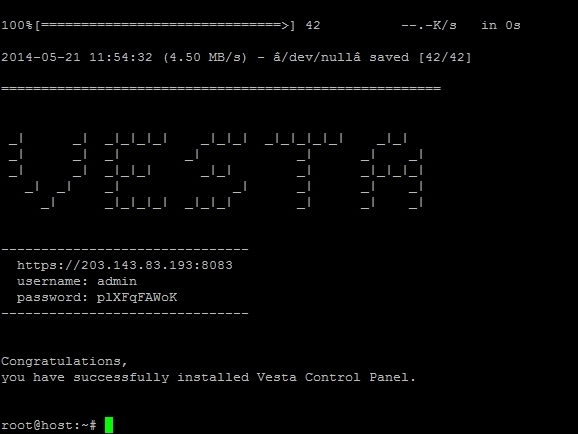 Complete tutorials about installing & using free control panel on a VPS. Do it yourself by following VPSBlocks. cPanel is great as a complete hosting package. 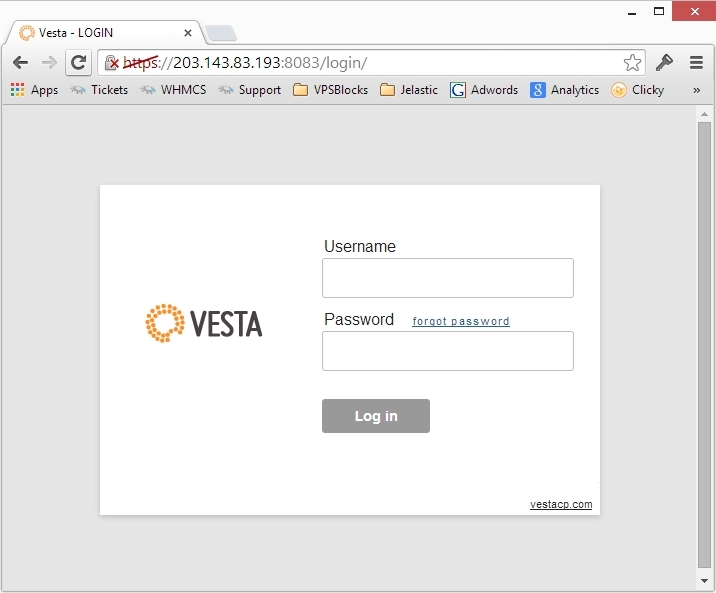 But if you don't need features like a web based file manager, VestaCP is a free control panel that offers speeds far surpassing that provided by cPanel. It's fantastic for hosting CMS based websites such as Magento, Joomla, Wordpress, Drupal etc. Note: If you are not confident in following these instructions we offer this installation as an optional service to our customers during the ordering process. 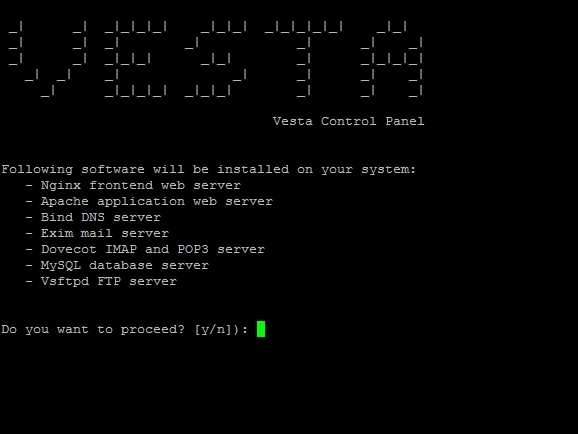 We recommend you choose Ubuntu 14 as your operating system, and during the order process will be asked if you would like the Vesta Initial Setup, the cost is only $20. Important note: If asked for a hostname you must put the name you gave your server e.g. vps.yourdomain.com. If you do not put the same name services will not be able to resolve the hostname to your local VPS and it will cause issues with NGinx and some other services. *Note: This is an Ubuntu 14 oddity, as otherwise two mysql processes will be started upon startup. Note: Leave the Apache Template as default. If you want to set it to php-fcgi for extra performance you must have more than 1G of RAM, but you need to modify a file manually in SSH. You cannot edit the name for this website. This is the website that will always appear when you visit the IP address directly or any domains listed in the 'Aliases' section. 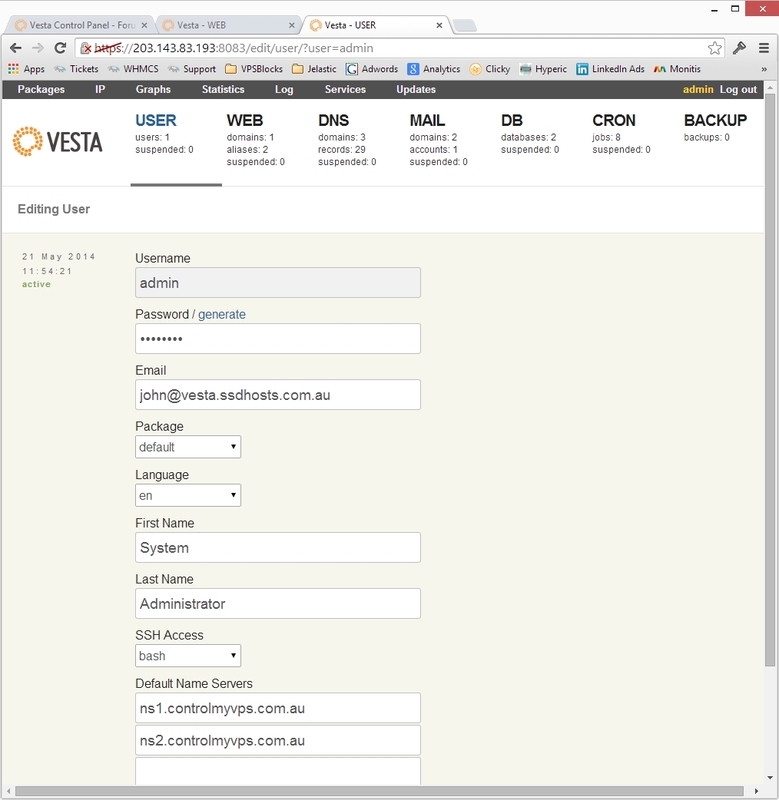 If you are hosting a single or main website you can use the default website, and enter the domain names in aliases. 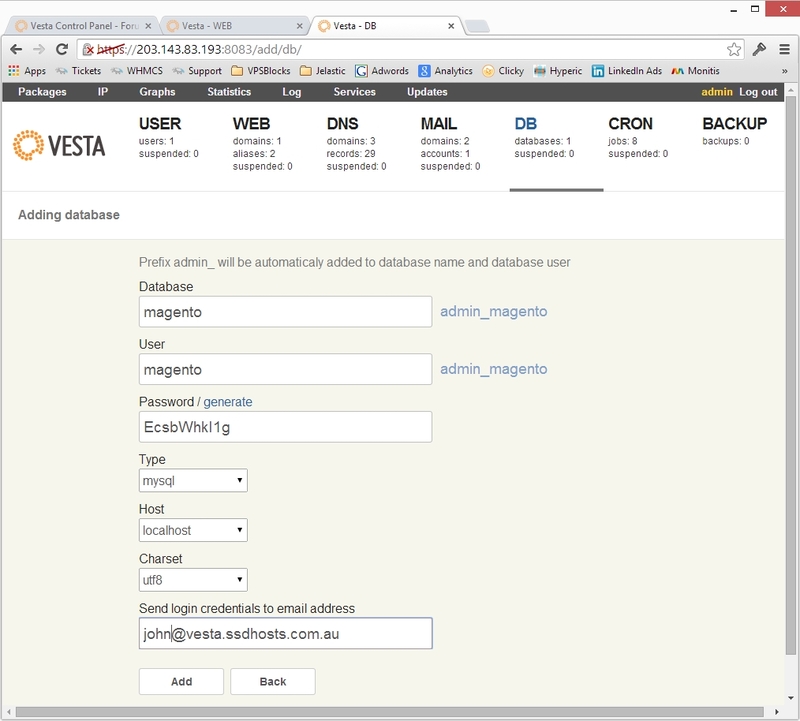 Note by doing this that you will have to add MAIL manually for the domain. 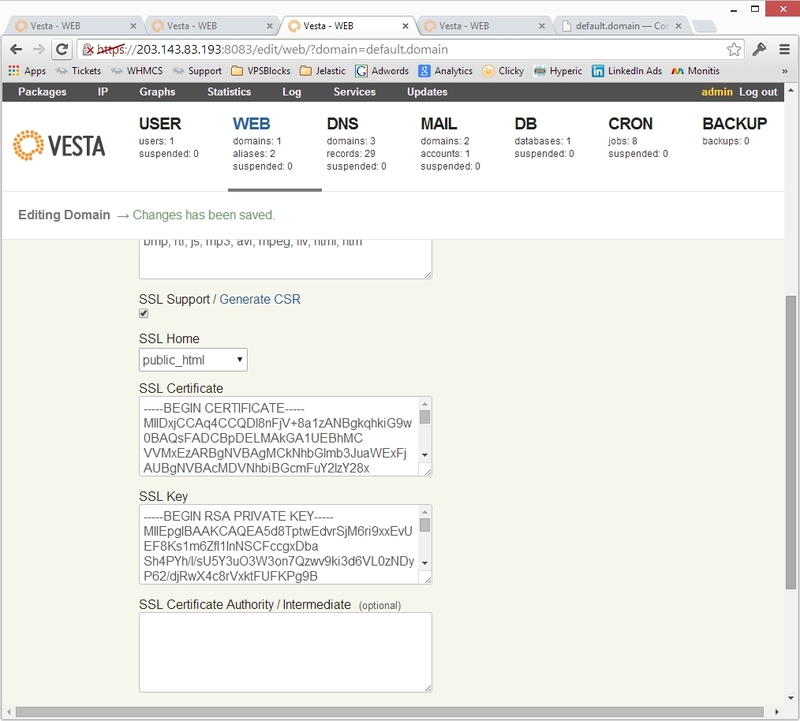 Alternatively, click on 'WEB' again and this time choose 'Add Web Domain' and add your new website. To enable self-signed SSL on your default website so things like webmail are accessed via SSL you need to do the following. Then copy and and paste each of the details into the editing domain section. Note that they are not in the same order, so ensure you copy the certificate and key correctly. 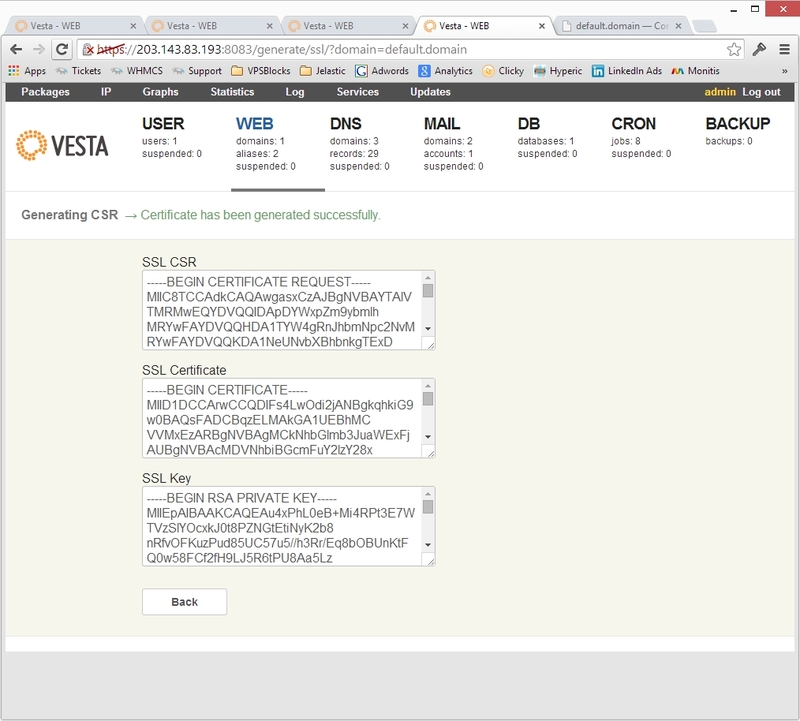 THe SSL Certificate Authority would be blank. 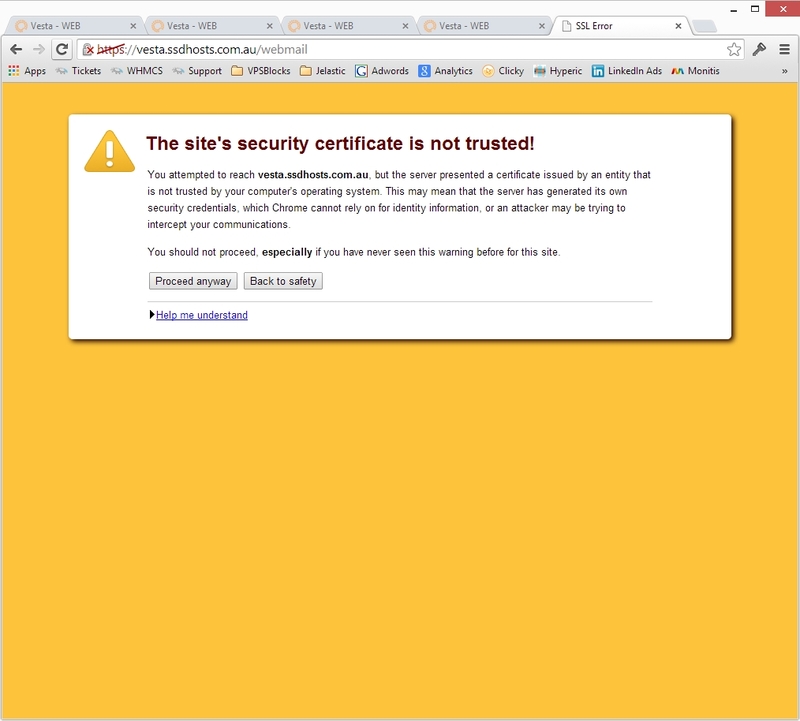 You will get warnings due to this being a self-signed certificate, but logging in via webmail will be secured. 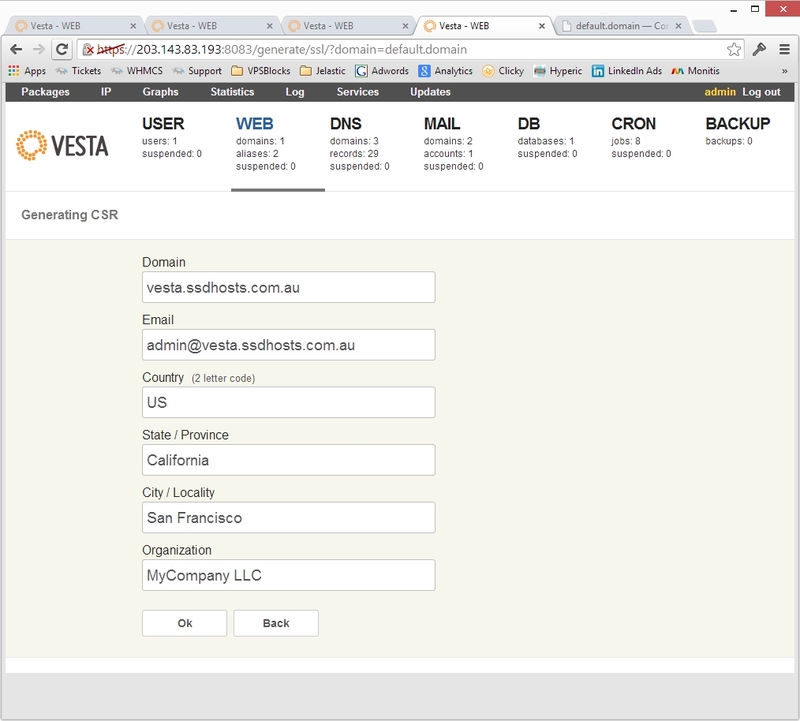 When you add a website the DNS records are automatically created for it. 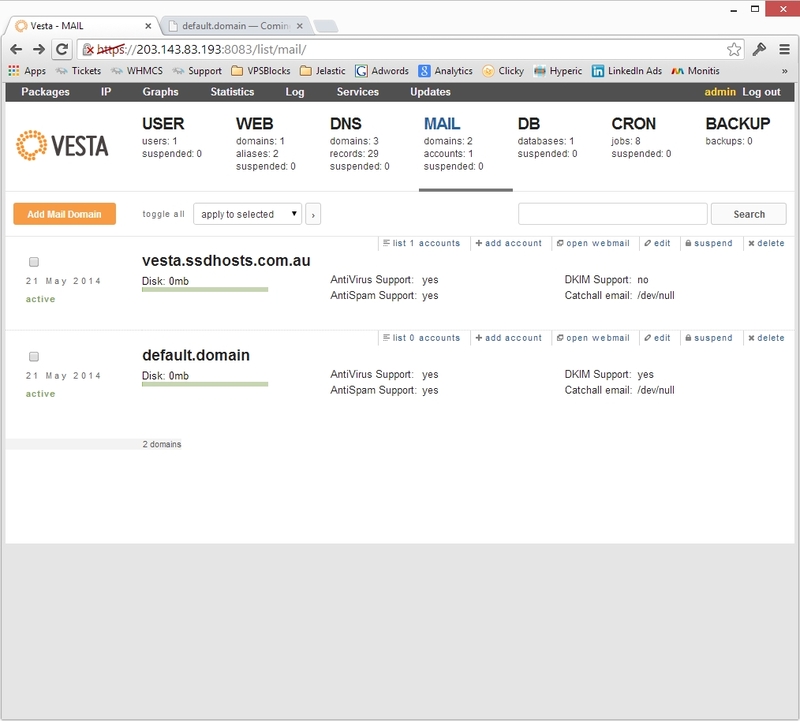 However, it's up to you whether you want to create your own DNS servers (ns1.yourdomain.com/ns2.yourdomain.com) and use Vesta to manage your DNS records, or use our provided DNS servers (ns1.controlmyvps.com.au/ns2.controlmyvps.com.au) and enter the DNS records yourself in our control panel. If you setup your own DNS servers, you can edit/add any DNS records in the DNS section. Note that if you do not setup your own DNS servers then anything you do in this section will not be public or have any impact in the rest of the internet - e.g. you should make changes you need in our provided control panel. To setup mail for your domain you will need to go the MAIL section. 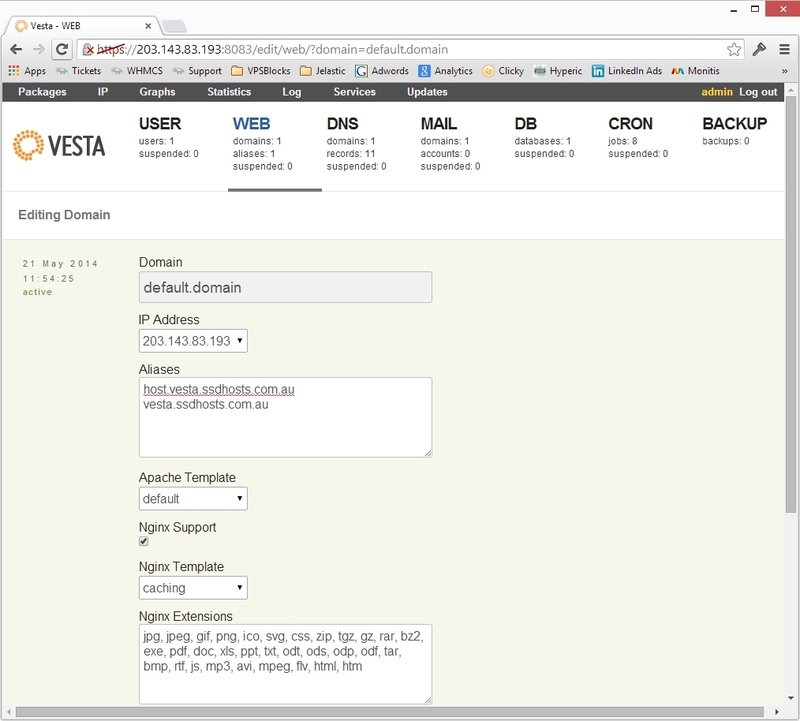 Here you can add/edit domains that you host mail for, and also add/remove mail accounts, open webmail and more. If you are installing a CMS such as Magento, Joomla, Wordpress, Prestashop etc. you will need a database. Here fill out the name of your database, note that the user you are currently logged in with will be prefixed to your MySQL database and MySQL username. You can FTP into the server using SFP or SCP as your admin user. When you login you will see four folders. Browse into the web folder, there you will see a folder for each site under your username. Under that the public_html folder is your web root folder. First download the full version of Magento, and extract it on your local machine. Then FTP into the server and upload all the files into the public_html directory. Answer yes to any questions posed.